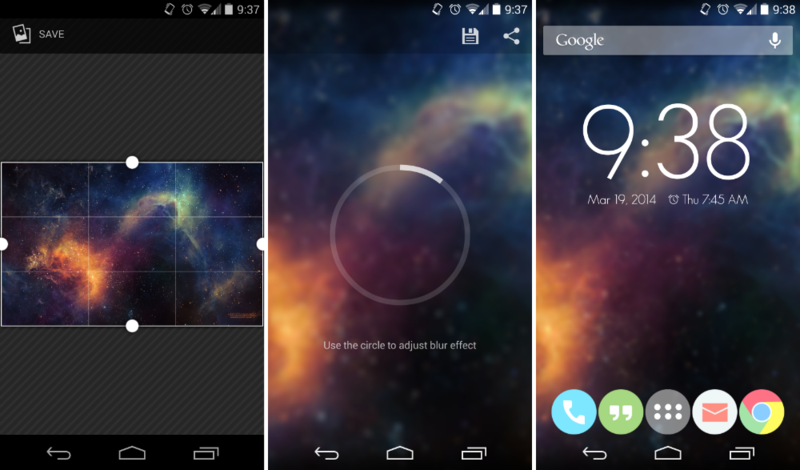 If you love the effect that the Muzei live wallpaper brings to your device, but get the feeling that a live wallpaper is no bueno for your device’s battery, then Blurone is your new best friend. The main feature that Muzei brings to your homescreen is a blurred effect on any given wallpaper. If you double tap on the wallpaper, it comes into focus. It’s a very simple, yet powerful feature. Blurone is even more simple, as all it does is blur your existing photos and wallpapers, but doesn’t allow any type of tapping on them. It’s just a static image on your homescreen. Once you select which image you would like to blur, you use a dial button to select the amount. Once selected, you can save the image to your gallery, and from there, set it as your wallpaper. Again, it’s very simple, but adds a new element to any wallpaper you already have. The app is completely free and very straightforward. Go check it out.